PLACE - MATERIAL - OBJECT , Gulliver. A solo exhibition where 'Place - Material - Object' is brought to the Island of Elba for the first time. As a Graduate from Three - Dimensional Design, I will be one of the 7 makers selected to represent Manchester School of Art at New Designers 2018 Week 1. I will be exhibiting 'Place - Material - Object' on Private View on Wednesday 27th and to the public from Thursday 28th to Sunday 30th. 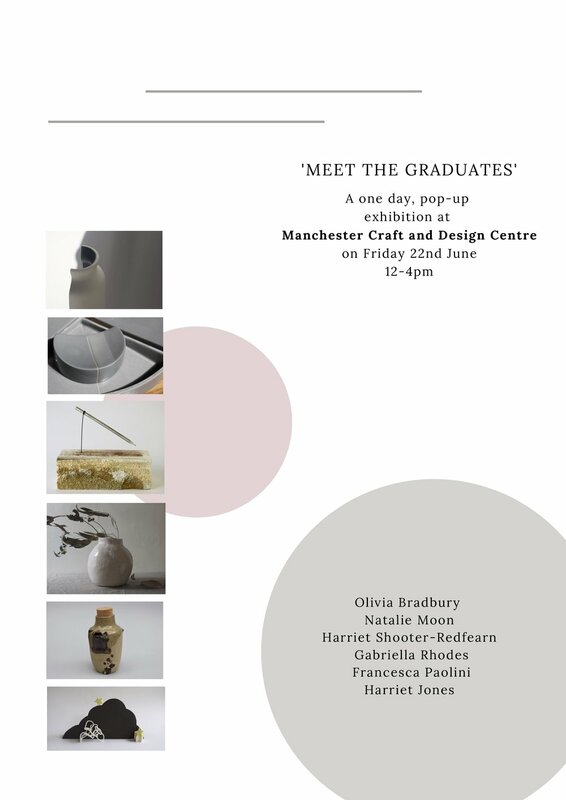 Place - Material -Object will be exhibiting at the Manchester Craft & Design Centre on Friday 22nd June 10am - 17pm, alongside makers Harriet Shooter-Redfearn, Natalie Moon, Gabriella Rhodes, Olivia Bradbury and Harriet Jones. Place - Material - Object will exhibit for two weeks (June 8th - 20th) as my Final Major Project during Manchester School of Art's Degree show. Three - Dimensional Design will be located on the 1st floor, but you will be able to spot my work in the Vertical Gallery also, at the main entrance of the School! If you are interested in viewing my work, come and visit our 'Graduate (nearly) Print Fair' on June 1st, taking place at GoodStock. I will be exhibiting Place - Material- Object and selling some of my previous collections and most recent work! At the Makers Meet up held at the Manchester Craft & Design Centre, I was honoured to be one of the 3 winners taking part in the 'Meet the Makers' Competition'. To celebrate my work and skills, MCDC posted on their social media including website, instagram, twitter and facebook, a blog post about my practice and latest project, 'Introducing New Talent: Francesca Paolini'. Click here to have a read!